That is all folks, Thank You for choosing Sport24 to catch the second-leg of the CAF Confederation Cup final between SuperSport United and TP Mazembe. TP Mazembe are crowned the CAF Confederation Cup champions after 2-1 aggregate win over SuperSport United. 94' FULL TIME! SuperSport 0-0 Mazembe. 85' Mazembe wasting time and SuperSport are getting annoyed at their attempts. 82' RED CARD! Chongo Kabaso with a second yellow card and the referee pulls out a red as well. 63' Meanwhile, substitution for TP Mazembe as Kalaba is replaced by Elia. 61' Modiba gets the ball on his left and pulls the trigger however his effort goes wide of goal. 54' Thuso Phala with a corner-kick... Daniels and Mashamaite both miss a chance with a strike at goal. 50' SuperSport desperately attacking the visitors in hope of taking the lead in this match. 46' HALF-TIME! After a minute of stoppage time the referee brings the match to a break. 42' First yellow card of the match issued to Mazembe's Kalaba for blatant pull back on Nhlapo. 38' CHANCE! TP Mazembe have another opportunity after the ball is worked down the left before Malongo looked to cut onto his right foot and curl a shot into the far corner, but it's a few yards wide. 28' Grobler standing behind the deadball situation... His strike hits the wall. A cross is teased into the 18th area... Mashamaite in on goal, but the linesman waves his flag for offside. 27' Mbule fouled in a dangerous position. 23' Game taking a dramatic turn as SuperSport, who needs a goal, are slowing the game down. 21' Meanwhile, SuperSport are struggling to get into the game at the moment with the hosts not able to hold the ball for extended periods. 20' Quite an awesome start by Mazembe who have been very attacking and have created two clear-cut chances without reward. REMINDER! Mazembe 2-1 United on aggregate! 15' Mazembe have another chance after Kalaba did brilliantly to get to the byline and cut the ball back for Adjei to put the ball into an empty net but he mishits the ball and it goes just wide! YOH I've not seen misses like this in major continental final before?? @SuperSportFC iyaSinda La...?? 13' CHANCE! Mazembe causing all sorts of trouble for United as Kalaba misses a crucial opportunity in front of goal. Williams breathing a sigh of relief. 6' CHANCE! Sinkala takes a swipe at long range effort only to see his opportunity rise above the cross bar. 4' Traore pushes forward as he attempts to get into the 18th area only for the forward to over run his charge. 2' First corner of the match and Phala whips in a low cross for Letsholonyane and the veteran's back flick hits the side netting. Mazembe bench: Matampi, Mondeko, Kasusula, Mika, Elia, Asante, Ushindi. SuperSport bench: Pieterse, Farmer, Wome, Alexander, Nkhatha, Lakay, Kekana. Should they win, Matsatsantsa will become the second club form Pretoria to win continental silverware in two years after Mamelodi Sundowns were victorious in the 2016 CAF Champions League final. For Tinkler it will be a third involvement in an African club cup final, having been at Orlando Pirates when they reached the finals of the 2013 CAF Champions League and 2015 CAF Confederation Cup. Mazembe are the defending Confederation Cup champions and have won the CAF Champions League five times. "I'm happy with the [first leg] result. We won the game, we didn't lose or draw. We're going to try and be at 100 percent for the return game," Mihayo said. 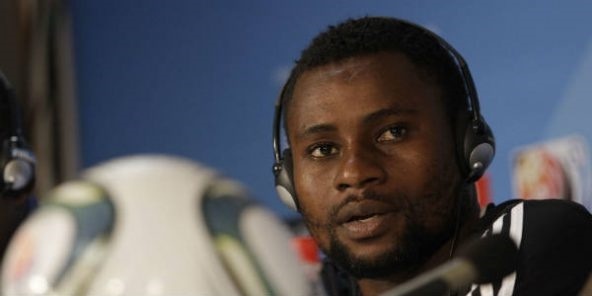 TP Mazembe coach Pamphile Mihayo has warned his men not to sit back and defend their lead against SuperSport United in the CAF Confederation Cup decider. "A lot revolves around [Traore] and Mazembe are a very direct team, and if you give him time and space, he brings the ball down nicely and brings other attacking players into the game," Brockie said. "It's going to be important to cut the supply into him, that's half the job done, then we just have to focus on what we have to do," he added. 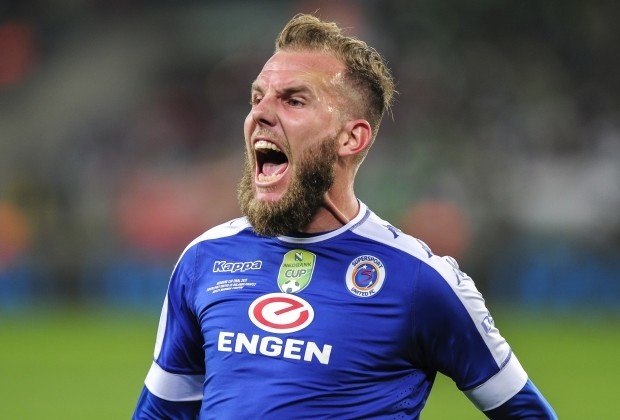 Meanwhile, SuperSport striker Jeremy Brockie leads the competition’s scoring charts with 10 goals, but he has sounded a caution over Mazembe forward Adama Traore. "It is very different," he was quoted. "It's a continental cup final. It's not a local cup final where you play against teams that you play against all the time. "Now we are playing against one of the best teams on the continent and they are the defending champions of this competition. So winning against such a team would be an achievement for me personally and for the club as a whole. "The reason we play football or any sport is to compete in such games. Realising those dreams is something huge, so I am very excited and honoured to be part of this SuperSport group that is going to play in the final," he added. Letsholonyane's attacking prowess will give SuperSport coach Eric Tinkler some good additional options and explained why victory on Saturday would taste extra sweet, and why it's such a big game. Full time here at the Lucas Moripe Stadium and it ends 0-0 which means TP Mazembe are the CAF Confederations Cup champions with a 2-1 win on aggregate over the two legs. Supersport didn't do enough on the night with only 1 shot on target. Yellow card for Furman for a frustrated challenge where he slid straight through his man. RED CARD! Phala receives his marching orders from the referee for a dangerous tackle with his studs clearly showing, into the shin of his opponent. TP Mazembe are looking to see this out here as they have a goal kick after Wome had a shot which was blocked and ricocheted back off him and out for a goal kick which has allowed Gbohouo the opportunity to waste time. RED CARD! TP Mazembe are down to 10 men after Chongo receives a second yellow card for a cynical challenge in midfield. Supersport have a chance with a free kick on the edge of the box after Phala was brought down. Grobler is the man with the responsibility to take it and once again he wastes the opportunity as it goes high over the bar. Supersport need a goal in the last 15 or so minutes here and are pressing forward but continue to struggle to create chances. TP Mazembe are posing a threat on the counter, however, and the hosts must be wary. Another yellow card for TP Mazembe as Chongo is booked for a late challenge on Furman. Yellow card for Mpeko for a late challenge on Williams. Substitution for TP Mazembe as Traore is replaced by Asante. CHANCE! Supersport attack well down the right before Phala crosses into the box for Wome at the far post. The substitute brings the ball down well and strikes for the bottom corner but Gbohouo gets down smartly to his right to save. TP Mazembe are in a two-on-two situation but it comes to an end quickly as Mashamaite brings down his man with an arm to the face and he receives a yellow card for his troubles. Substitution for Supersport now as Brockie is replaced by Wome as manager Tinkler looks to add something different up top for the hosts. Substitution for TP Mazembe as Mika comes on to replace Adjei. Nearly for Supersport as Modiba is found in left midfield by Letsholonyane after a sequence of passes and the former is able to burst towards the box before shooting from the edge of the area but it goes a few yards over. Substitution for TP Mazembe as Kalaba is replaced by Elia. Supersport are on top in the second half as they've managed to pin TP Mazembe back into their own half. The hosts have struggled to provide opportunities for their forwards so far in the game but it's looking more likely. CHANCE! Supersport have a great chance as Phala whips a corner into the box which is flicked on by Daniels at the far post towards Grobler and Mashamaite at the far post who just need to direct it on target but neither connects with the ball. Both sides have come out with intent in the second half with TP Mazembe looking to get forward quickly and winning a corner which comes to nothing before Supersport have an attack of their own which also comes to nothing as the final pass is cut out. We're back underway for the second half! Supersport need at least a goal in this second half or TP Mazembe will claim the trophy. Half time here at the Lucas Moripe Stadium and it's goalless at the break. TP Mazembe started the half on fire and should have had two early goals, but Supersport came back well to finish strong before the break. 0-0. Supersport are ending the half well with some threatening play in the final third of the pitch but the ball into the box to the likes of Grobler and Brockie has been poor, resulting in the hosts not having much to show for it. Yellow card for Kalaba for blatant pull back on Nhlapo as the fullback looked to push forward. TP Mazembe have another opportunity after the ball is worked down the left before Malongo looked to cut onto his right foot and curl a shot into the far corner, but it's a few yards wide. TP Mazembe win the ball high up the field with a hard challenge and it's shifted towards Kalaba in midfield who has a shot from range but it's a weak effort that Williams can save easily. TP Mazembe have not managed to threaten in the last 20 or so minutes after looking very dangerous in the opening few minutes. Supersport continue to work the ball around but are struggling to pick out the right passes in the final third. The conditions are very wet at the moment with players slipping at times. The game has died down a bit as Supersport hold a bit more of the ball but without much reward. Supersport have a chance with a free kick on the edge of the Mazembe area after Mbule was brought down. Grobler strikes the ball straight into the wall before the hosts cross it back in and have the ball in the net only for it to be ruled out for offside. Supersport have managed to slow the game down a bit after the fast start by the visitors but are yet to get in behind the TP Mazembe defence. The hosts will be happy for the meantime as they've stopped the threat from the visitors for now. It's been a brilliant start from TP Mazembe who have been very attacking and have created two clear-cut chances without reward. Supersport are struggling to get into the game at the moment with the hosts not able to hold the ball for extended periods. CHANCE! TP Mazembe have another chance after Kalaba did brilliantly to get to the byline and cut the ball back for Adjei to put the ball into an empty net but he mishits the ball and it goes just wide! CHANCE! TP Mazembe have a great chance as Kalaba is put clean through with just the keeper to beat. He has a poor touch before attempting to slot the ball past Williams but he lifts it high over the bar. TP Mazembe have an opportunity of their own to get forward but Supersport do well to hold their shape in defence which results in Sinkala shooting from range, but his effort goes way over the bar and it's a goal kick. Supersport have an early corner after a good move from Furman Nhlapo and Phala ends with a blocked cross going behind. The corner is played in low towards the near post and is flicked on but it's wide of the goal. We're underway here in the CAF Conderations Cup Final! We come into the second leg tonight with TP Mazembe having a 2-1 lead after ousting tonight's hosts in the first leg. Supersport did claim a vital away goal but will need to win tonight and nothing less. TP Mazembe XI: Gbohouo, Issama, Kimwaki, Chongo, Zola, Sinkala, Kouame, Adjei, Traore, Malango, Kalaba. Subs: Matampi, Mondeko, Kasusula, Mika, Elia, Asante, Ushindi. Supersport XI: Williams, Nhlapo, Mashamaite, Daniels, Modiba, Furman, Letsholonyane, Phala, Mbule, Grobler, Brockie. Subs: Pieterse, Farmer, Wome, Alexander, Nkhatha, Lakay, Kekana. Good evening and welcome to our coverage of the second leg of the CAF Confederations Cup Final between Supersport United and TP Mazembe from the Lucas Moripe Stadium.